At the start of the new school year, we are filled with optimism and excitement as we enter the second year of the launch of our new mission and every day reaffirms that our programmatic enhancements are truly bringing dynamic and innovative practices into our building. Approaching our 20th anniversary, we recently engaged in a comprehensive strategic planning process leading to changes in our overall mission, vision and academic program. This process has resulted in key initiatives such as Competency Based Digital Portfolios, restorative culture practices, social emotional learning programming, enrichment classes focused on career and vocational exposure and the transition to a 1:1 Chromebook model. 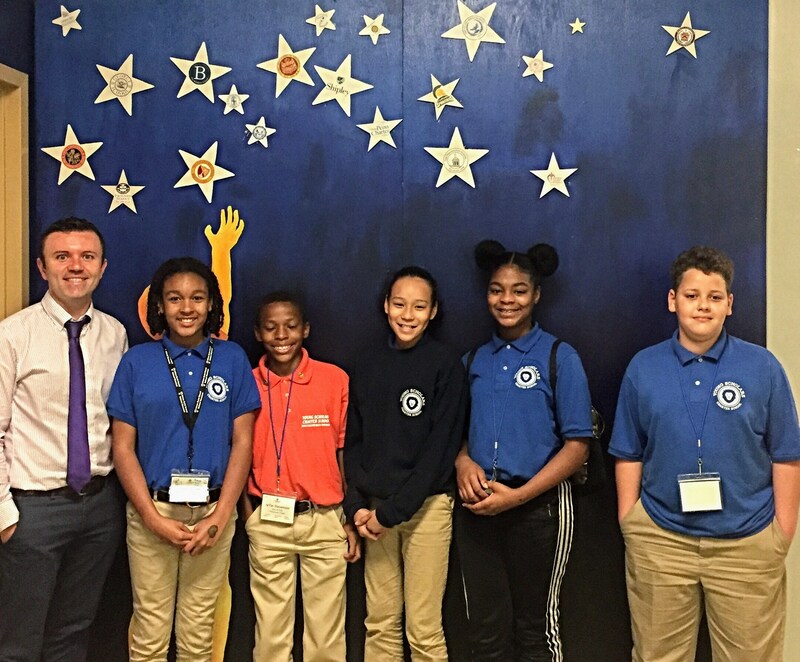 Additionally, through our “Experience Week” initiative, the school has formed nearly 60 strategic partnerships across the city to transform the school into one “without walls” that is leveraging the city’s resources as an extension of the classroom. This school year will see the introduction of even more “Enrichment Beyond the Core” programming, with students continuing to produce their digital portfolios and interact with the many new platforms they can access with their Chromebooks. We will also grow to serve 300 students this year, reduce class sizes to 25 and achieve a student to staff ratio of 12:1. We have also been fortunate to welcome many volunteers who have done everything from teaching weekly cooking classes, to small group book clubs and tutoring. Additionally, sports are growing at Young Scholars! We will soon launch Boys and Girls Basketball, Indoor Soccer, Track and Baseball to our growing after-school offerings and also begin participating in a city wide league. Stay tuned for more updates and we wish everyone a healthy, happy and prosperous school year! Go Lions! Interested in Funding Excellence by Supporting our Enrichment Beyond the Core Initiatives? Click here to make a donation today!